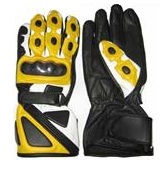 This Honda camel yellow color leather suit made with premium quality Cowhide Leather 1.2-1.3mm. The Leather is milled grain and hump(optional) on the back of the jacket is included. Small zipper on the rear back inside back of the jacket to zip up with a trouser. Ce certified Shoulder, Elbow, Back, Thigh, and Knee inside removable protection padding and removable velcro knee slider. 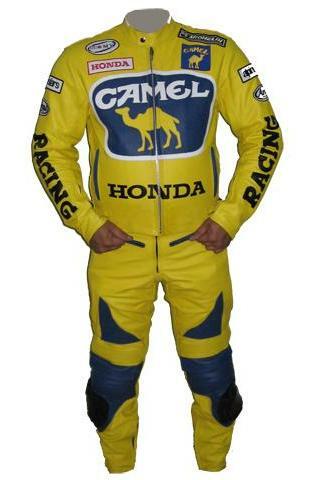 This Honda camel leather suit in yellow color is available in any size(men & women), color or labels with your desired personalization.